Anyone who has ever driven a car in Asia can appreciate this commerical. When I went back to Virginia last month, we stopped at Virginia Beach to take a stroll on the boardwalk, a paved sidewalk area that follows the beach for a few miles and is populated with New England tourists and Canadian tourists from Quebec. I still remember how excited the locals get in mid-September on “Take back the beach day” when tourist season officially ends. 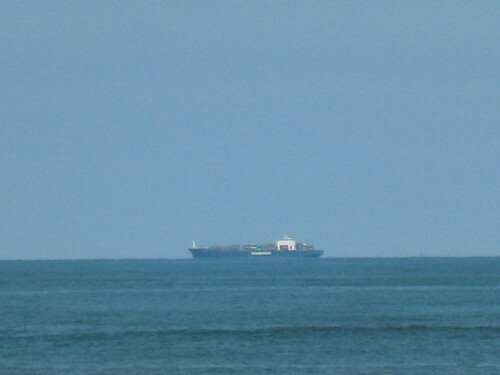 I also remember watching all of the cargo ships coming into the ports, and sure enough this time, just off the coast there were several container ships making their way for Norfolk International Terminal, and perhaps the new A.P. Moller Terminal. I tried my best to get a job in shipping while I lived here, but I failed in that attempt too. 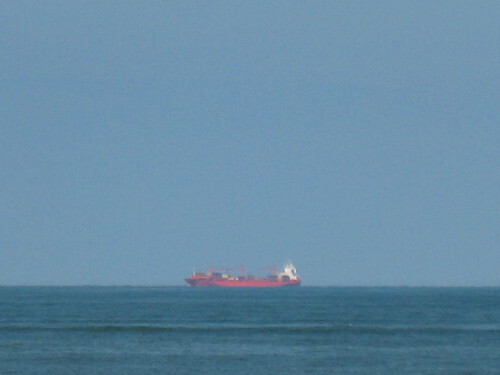 Doesn’t seem to have much cargo I’m afraid — signs of the economy? 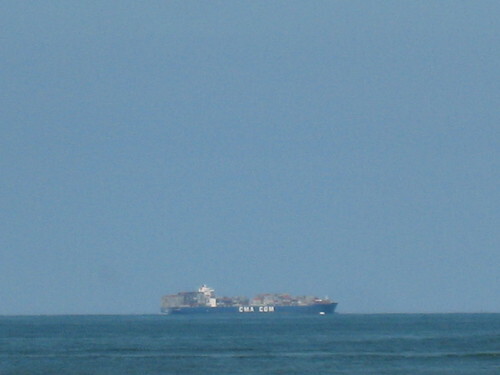 CMA-CGM, a French shipping company heading away from the port and towards sea – back in “the day”, they said they’d be at the University career fair and I was really looking forward to talking to them…but they failed to show for the event. C’est la vie! Nothing like a good bowl of Vietnamese Pho to cheer you up though, eh? 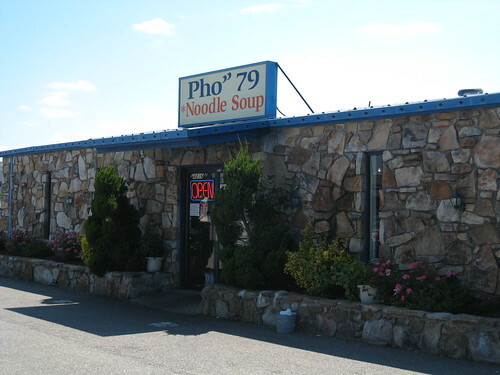 I love this Pho restaurant, it is very authentic and visited by most of the local Vietnamese and even Chinese families in the Virginia Beach area. It was interesting to see that most of the Pho on the menu was beef Pho, compared to chicken Pho which is often the only choice in Japanese Pho restaurants. I prefer the beef Pho as it is delicious, healthy, and reminds me somewhat of Taiwanese Beef Noodles. If Beef Pho and Miso Ramen went up in a fight, I don’t know which I’d cheer for…that is how much I love my Pho!!! 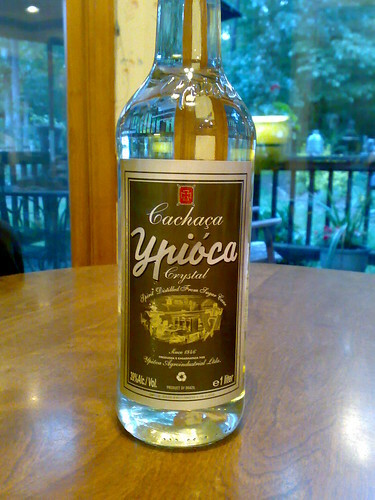 My father recently came back from business in Brazil, and on a recent trip he picked up some Cachaça for some Caipirinhas, the drink that comes to mind when one says Brazil. Cachaça is made from sugar cane, and surprisingly has a strong 40% alcohol content. The drink is not too strong with regards to taste, and goes down very smoothly and is perfect for the hot summer weather. Cut your lime into four wedges, or eight if you wish, and remove all of the seeds. You can clean out the insides if you wish, but I’d just squeeze the lime a bit to get the juices flowing. Add a few ice cubes to your glass, your cachaça, and finally some sugar to make it a little sweeter, and you’re set. Next, you just have to find a nice quiet place with a beautiful sunset and…some light bossa nova? In the beginning of June I had a job interview in Connecticut for a really good job with what seemed to be a really great, medium-sized global company. I did not pass the interview, in fact the reason is a rather big problem for me. In Japan I worked on both electronics and on software, keeping with the traditional Japanese corporate view that young employees should gain exposure to many sides of the job before specializing. In the USA, however, it seems that job specialization begins from the first job. Any way, I arrived the night before the interview, and before it grew dark I took some pictures of the surrounding area. 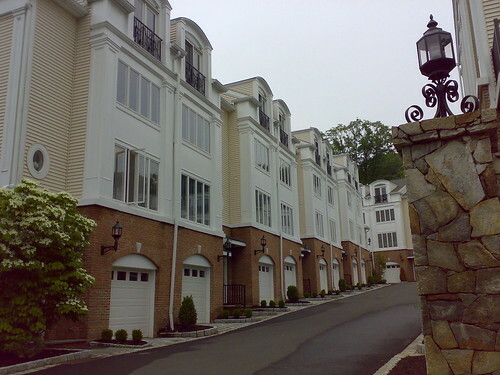 High-end condominiums by the Amtrak commuter rail line – While I’m sure they’re cheaper than anything around Tokyo, this part of Connecticut is just an hour from New York City by train, and I guess they are pricey and full of high-wage professionals. They sure look nice from the outside! 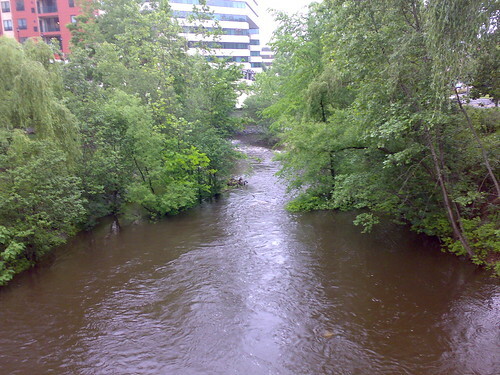 This river ran in front of the condos from the previous picture. In Autumn it must be a beautiful place to live. 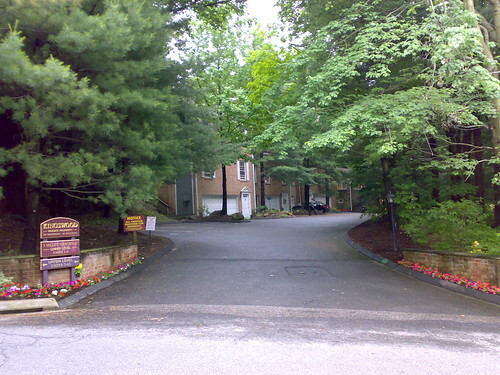 On the hills there were many private neighborhoods tucked into the tree line with signs warning about trespassing. Attached housing seemed to be the main feature in all of these neighborhoods, which was new to me because in the mid-Atlantic most neighborhoods are composed of individual houses. The cost of living really is different. 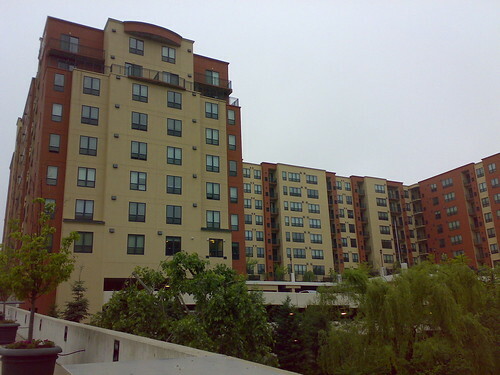 Apartments above the first floor shops – behind this strip mall there were lots of private neighborhoods tucked into the trees on a hill, and the access to the second floor apartments was around back. I wonder what the going rate was for this apartments? Sushi Land, by the way, was actually a Korean restaurant with a a true Korean menu too. High-end townhouses – I wouldn’t mine owning one of these! 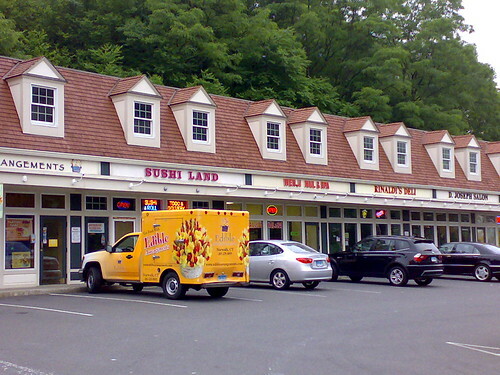 If anyone is thinking about Connecticut as a place to make home, the housing looks very nice, and the town centers are small but always have a few taverns and have a “towne” feel to them that I’m sure you can grow to appreciate. Nearly two months have passed and it feels like years ago now that I lived in Japan. Every time the job situation looks like it will be going cold, I get a few more leads…I hope one will materialize. I really am enjoying be able to spend time with my son and watch him grow. If I were working full-time I wouldn’t be able to enjoy moments, such as how he just recently started sitting up on his own. 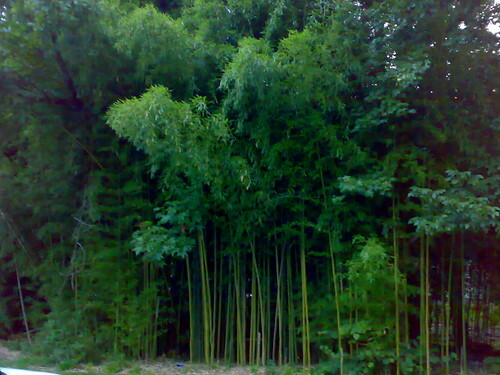 Here are a few pictures from life in NC. 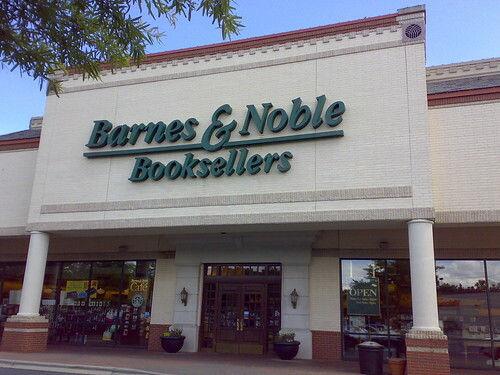 I used to really like this book store chain, but having recently visited there recently, the selection has really shrunken, the coffee shop is full of people working on notebook computers rather than reading books or magazines. Shame. Liam is enjoying his baby crib, the same one I used almost thirty years ago. He no longer sleeps well on just a blanket on the floor, so I guess a futon on a tatami mat is out now. We just recently bought him that sheep which he seems to be taking to. It plays relaxing sounds like gentle rain fall, a stream running, waves on the ocean and whale calls in the ocean. The ocean waves seem to really put him to sleep when he is tired. 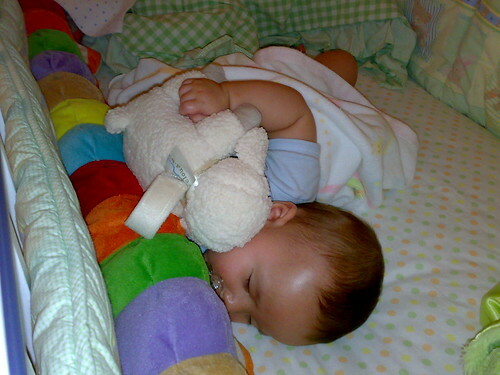 Babies are not all that sleep around the home. 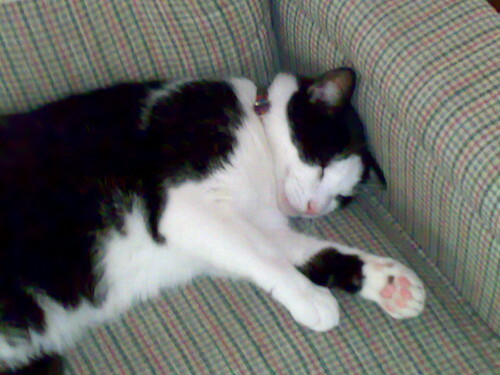 The family cat, Patches, enjoyed a few days without the dog recently. This cat is quite a jerk though, he thought it was a great idea to wake me up at 5:30 AM to see if I’d feed him. After chasing him away, he kept coming back every half hour until I finally took care of the issue. No, I didn’t feed him until I was ready… ha ha ha! My brother’s dog is a retired greyhound race dog that he adopted. Even in retirement she is faster than the wind! I just love the way she sleeps, as shown above. 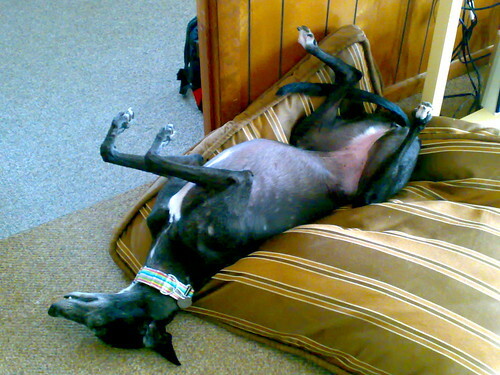 Apparently it is called “roaching” when a greyhound sleeps like this. One of the great things about living in the Eastern USA is the abundance of corn–or maize, if you will–during the summer season. Back in 2004 I remember I used to be able to buy 8 ears of corn for US $1 (100 yen). By the way, back in 1999 petrol was $0.96 per gallon, or around $0.25 per liter! I digress…anyway, apparently the ethanol subsidies are having a large economic effect now and the best I can do is 4 ears of corn for US $1 now. Most of the time it is 2 ears of corn for US $1 though. So the price is encroaching the 100 yen per ear of corn Hachioji price index…oh sweet irony! So I know you can prepare corn in many ways, and of course it varies by region too. Many Virginians like to shuck their corn and boil them in a water with heavy salt content. 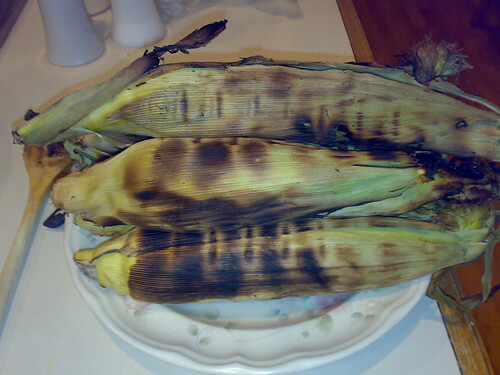 Japanese in the Kanto plains usually like to grill their corn after dousing it in soy sauce. 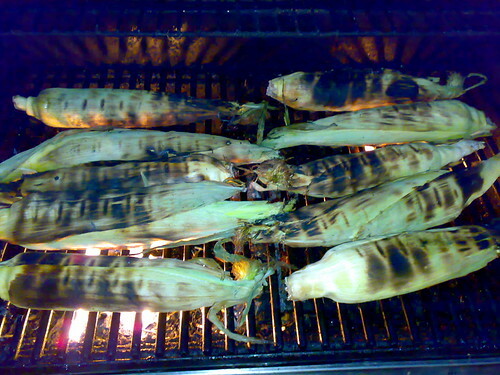 I, however, prefer to simply grill the corn in the husk as is. 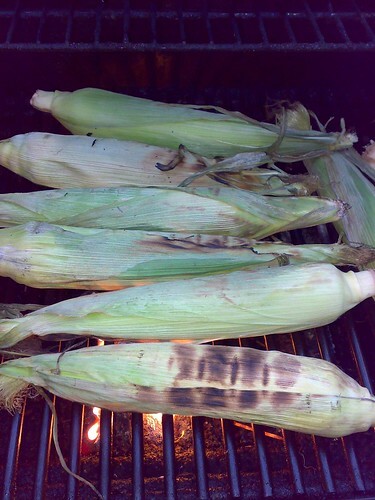 The corn comes out perfectly cooked, and even if you blacken the husk, the corn kernels are still golden or silken, depending on whether you are grilling yellow or white corn. I leave the husk on and simply place them over a medium flame on the grill. Don’t worry if the husk blackens, it simply helps you know which areas have been cooked well and which need some more work. After time goes by the corn is even looking better. The insides are beautiful and not burnt at all. Even if you leave the corn on a plate in the kitchen for awhile, the husks keep the heat on the corn and they are perfect for serving. Just remove the husk and put the corn on a plate! When I was in Japan, I used a Nokia NK705 mobile phone, which is simply a branded version of the Nokia N73 that Softbank issues to its customers. Though it has added features for the Softbank network such as intelligent Japanese language input and access to the Yahoo! mobile network, some of the nicer features of the N73 are completely crippled, such as the ability to install third-party applications, use MSN messenger, mp3 playback and many other features. For me, Bluetooth synchroniczation, USB connectivity for photo downloads, the 3.2 megapixel camera were all that mattered. I later found out that the worst thing about the NK705 is that it is SIM-locked to Softbank SIM cards, meaning that unless you have a Softbank subscription, you cannot use the phone. This forces one to pay Softbank’s global roaming surcharges and fees when in Taiwan or the UK, rather than being able to buy a prepaid SIM card at a shop in Taiwan or the UK and use local access. Completely crippling and locking customers to one network/platform/provider is a VERY Japanese way of doing things. The nice thing about Nokia phones, however, is that there is an international community of software developers that deeply understand Nokia products and create various tools for tweaking one’s phone. I really wanted to find a way to be able to use this phone in the US so that I would not have to two phones, one for the camera and one for voice calls. Following this tutorial exactly, after changing the product code from the current Softbank Code to the N73 Hong Kong Internet Edition product code, and them updating the phone firmware, I now have an N73 that is no longer locked to any SIM card and capable of 3G and GSM access in the US with any such provider. The downside is that I cannot revert the firmware back to the Softbank firmware, thus I no longer have Japanese text input, but that is not an issue for me now. I’m just happy to reduce the amount of things that I have to carry around, and I’m happy to have a camera to capture things that I notice around me once again. I should add that in order to update the firmware, you must have a Softbank SIM card. I disposed of my Softbank SIM card in Japan but luckily my wife has kept her’s. You cannot update without a SIM card, and you cannot update with another network’s SIM card–it has to be Softbank. So update before leaving Japan, and make sure you follow the directions precisely so that you don’t end up with a paperweight of a dead phone.